No wonder the fast-retrieve, wide-spooled Shimano TLD reels are so popular – it’s a versatile, top quality range at an affordable price. Choose the model that suits your style: TLD15 for general fishing off UK shores or step up to the TLD20 or TLD25 for deep water pirking, shark, skate, conger and halibut. Angling consultant, Dave Lewis, took his to Namibia and landed 100lb + sharks on his! 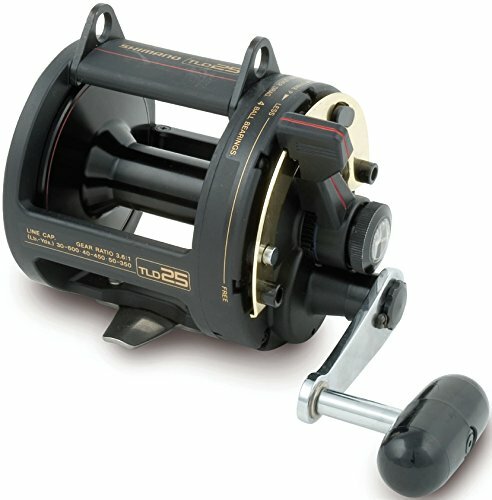 Graphite frameShimano TOP QUALITY, wide-spooled, fast-retrieve reels at an affordable price!